¡Para que continúes ejercitando tu español! In this section you will find a series of videos with the contents of each unit. Ejercicios basados en videos de viajes a España. 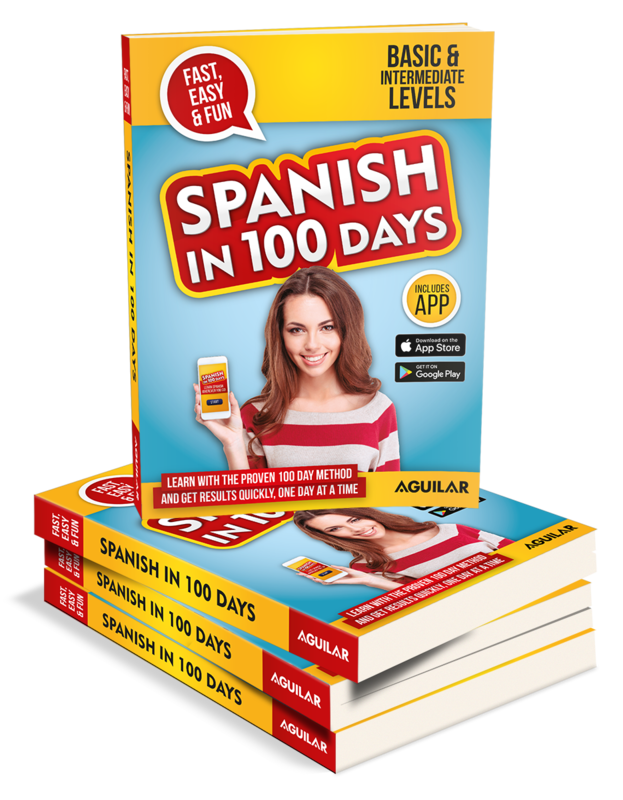 With the Spanish in 100 Days proven method we will teach you how to understand, speak, read and write in Spanish in only 100 days. This is a practical, modern and mobile method that enables you to learn on-the-go and get results! 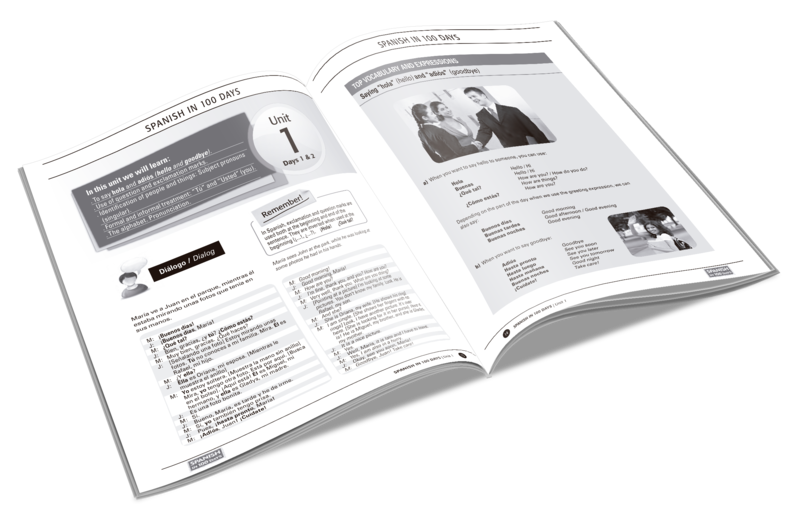 Organized into concise and easy-to-understand sections you will learn the most common expressions used, easy grammar with step-by-step examples, and the most used vocabulary for both Spain and Latin America via fun dialogues. Download the App for your device and learn at home, in the car, on the bus, or while working or exercising. The Apple® and App Store logo are registered trademarks of Apple Inc.
Did you know that we only use about 1000 words in our every day vocabulary? So why bore yourself with unnecessary lessons, when all you need are the key words and phrases that people use in their everyday life? 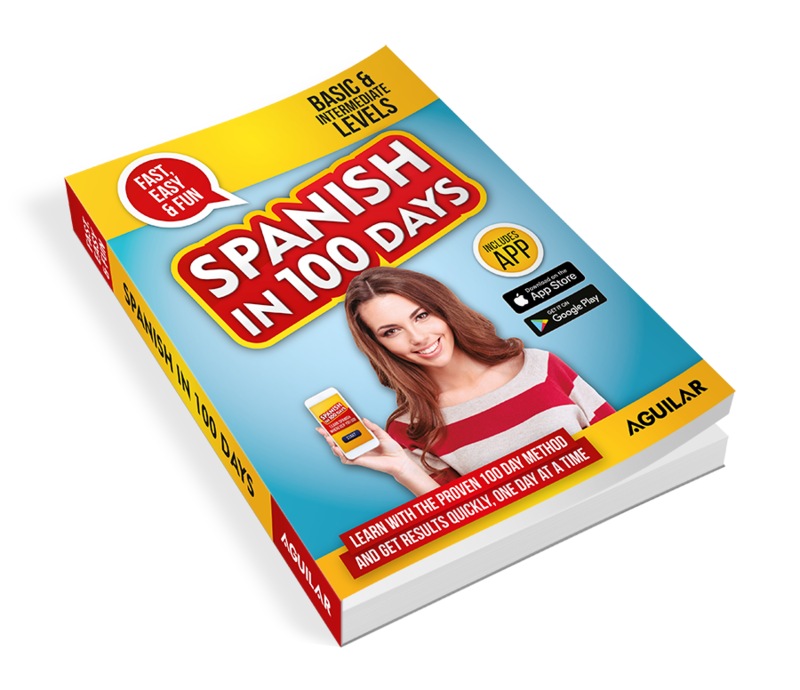 Unlimited free access to our www.spanish100.com website to download updated content anytime so that you can keep on learning, whenever and wherever you like! AVAILABLE FOR ALL YOUR FAVORITE DEVICES!